Meet my new friend in Paris, Marita Sakote! I met this delightful woman exploring one of the most fantastic resources available for visitors to Paris that few people know about! It’s called Paris Greeters and I found it to be a really great and enjoyable way to see Paris with someone who really knows the city. 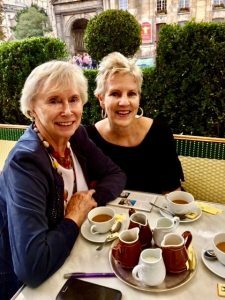 Paris Greeters, like Marita, are all volunteers who are knowledgeable about different areas and aspects of Paris. They can take you on what they call “une balade” or a walk, touring through various neighbourhoods, or to visit the sites, whatever you want to do. I was enchanted by the idea so l registered on the Paris Greeters website (see below). They asked me about my areas of interest which included things such as “History” “Architecture”, “Gardens”, “Gastronomy” and “Daily Life” which is the one I checked off. Then I made a special request. I added a note that if possible I wanted to be matched with “a woman of a certain age” who I could interview for my blog. Within a few days, I was contacted that they had someone who they felt might fit the bill. Shortly thereafter, I got a very warm email from Marita, introducing herself and suggesting a time and place to meet. Marita set up our rendezvous in Saint-Germain-Des-Pres (6th arrondissement part of the Latin quarter) and the location of France’s oldest Romanesque church (580 AD). 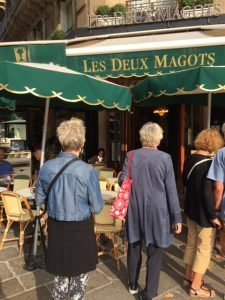 It is also an area formerly frequented by the literary, artistic and culinary elite like Simone De Beauvoir, Albert Camus, Pablo Picasso and Julia Child. As soon as I came up out of the Métro, I saw a woman, yes of a certain age, smiling and waving enthusiastically. And I knew immediately we would hit it off. 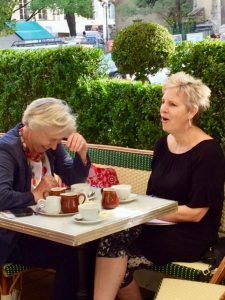 To get further acquainted, we headed across the street to find a table at Les Deux Magots where I learned that Marita is of German descent but has been living in the Paris area since 1974. 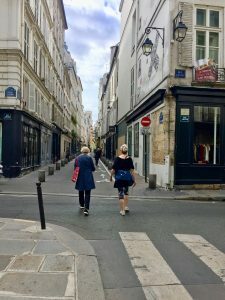 She is retired, a mother and grandmother, and for the last ten years has been a volunteer at Paris Greeters escorting travellers on walks around the city about six times a year. 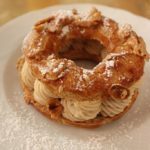 Fortified with strong coffee, we began our walk, first touring the ancient church and then strolling through the neighbourhood as we discussed French life and culture. We stopped to look in a book store dedicated to French women writers and another that sells original hand-written letters from people like Maurice Chevalier, Edith Piaff and F. Scott Fitzgerald. Wending our way up and down the narrow cobbled streets, Marita led me inside the French Institute library. It houses books and documents going back to the mid 1700’s pertaining to, l’Académie française which is the preeminent council governing the French language. The library itself is a visual treat right out of Hogwarts in Harry Potter, and something I would never have seen otherwise. Paris Greeters have 380 volunteers currently. And it’s definitely something different to do that really can make any visit. The best news is it’s FREE. Yes free, although you can make an optional donation to the organization on their site which I did. The donations pay for the administrative costs of running their service. 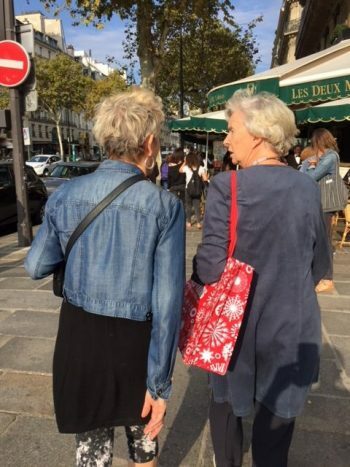 I am so thrilled to now have made a new “gal pal” in Paris, and Marita and I are already planning our next “balade” to another area of Paris I have never properly explored – the multi-ethnic Belleville in the 20tharrondissement! I love your blog already. Have read all your entries so far. I too LOVE Paris. Looking forwRd to following u!! Thank you for the wonderful comments and info ladies. There is apparently a Greeter Service in many other cities as well. I have never thought of doing this before. fantastic. what a fabulous resource. leave it to the Parisians! With all these new adventures and further information on new parts of Paris, you may have to stay ‘longer’ than previously planned ! Another book, maybe? My Sunday mornings include this blog, a cup of coffee and being swept to a far off place in Paris. 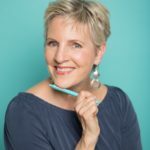 I love getting up on Sunday’s to find Diana’s Blog ready for exploration. 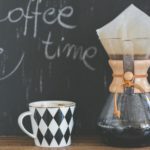 My favourite line from the blog, “Fortified with a strong coffee, we began our walk”. Of course a true testament for women of a certain age. Gave me a chuckle…Brilliant! Sunday mornings, coffee and a blog about Paris, nothing better than that. Tamara, you are the best! Thank you for being a faithful reader! 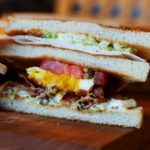 Diana, I too love your blog! I have yet to visit Paris but will one day. P.S. I am also a friend of Shardie’s. I have heard many stories about your friendship and feel like I am getting to know you through your blog. Paris seems wonderful. Yes, I have heard Shardie talk about you too. Thank you for this note and the comments. I hope you will make the trip to Paris … and who knows? I am being asked by travel companies to put together a tour for women of a certain age in Paris in the coming years. That would be such fun! Diana thank you for the blog, I am leaving vicariously through it. 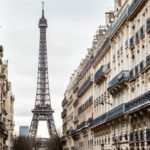 It is on my bucket list to visit, love that there is such a way of visiting Paris and seeing it through the eyes of someone that lives there, outside of the typical tour guide.Looking forward to your next blog.